2000 years ago, a virgin-born demi-god was tortured to death on a wooden cross. The gorish scene of the crucifixion has since been depicted extensively through painting and sculpture, and distilled over the years into a symbol of religious faith, commonly worn as a pendant. Recent atrocities committed by ISIS have brought back the horror of such events in graphic detail to our screens. 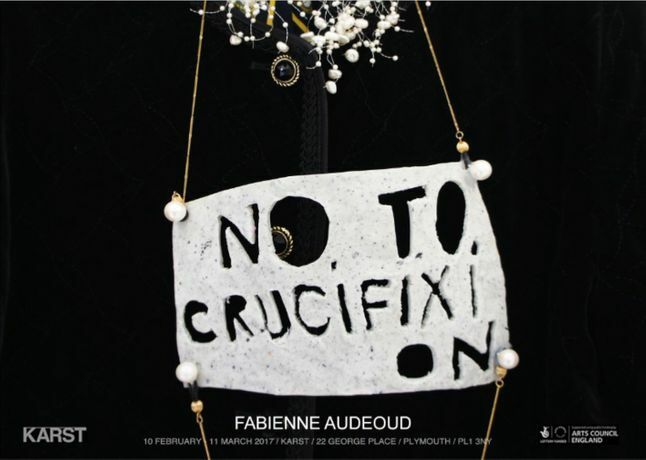 Fabienne Audéoud was brought up within the French division of the Plymouth Brethren community, a strict nonconformist evangelical movement who hold the Bible as the absolute truth and authority, thus living their lives around this particular “story”. Her experience growing up in a strict religious community and her rejection of this faith are strong themes within the exhibition. Displaying the artist’s clothes, videos of performances and paintings, this debut U.K. solo show proposes the difficulties with being in opposition to other people’s beliefs. In today’s climate of deep global divisions how can we constructively discuss the rejection or reimagining of religious faith? 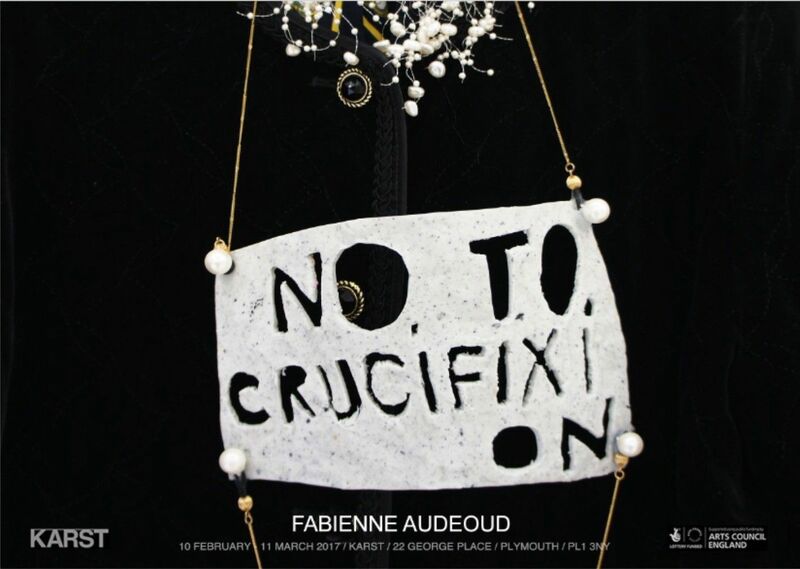 Fabienne Audeoud spent ten years in London studying at the GSMD and Goldsmiths College before a residency at the Jan van Eyck Academy (Maastricht) and going back to Paris where she now lives. Her interdisciplinary work embodies personal, and often feminist and political and performative involvements. Her videos, painting series and performances have been shown in many artist run spaces and institutions such as Modern Art Oxford, Milton Keynes Gallery, Tate Gallery, ICA (London), Petit Palais (Paris), Confort Moderne (Poitiers). Recent exhibitions include La Salle de Bains in Lyon (France), Maccarone Gallery (NY) and inclusion in “Punk” at CA2M (Madrid), MACBA (Barcelona) and Museo del Chopo (Mexico).